In Pennsylvania, there are few things bigger than Penn State. 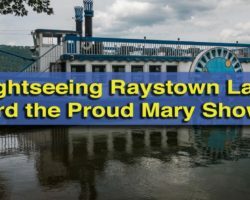 If you, like me, are not a native of Pennsylvania, it can be hard to fully comprehend its popularity, but there’s no denying that a very large percentage of the state breathes blue and white. Located just off the campus grounds in Centre County, Pennsylvania, is Centre Furnace Mansion. This 18th-century home has a storied history and is one of the oldest homes in the State College area. 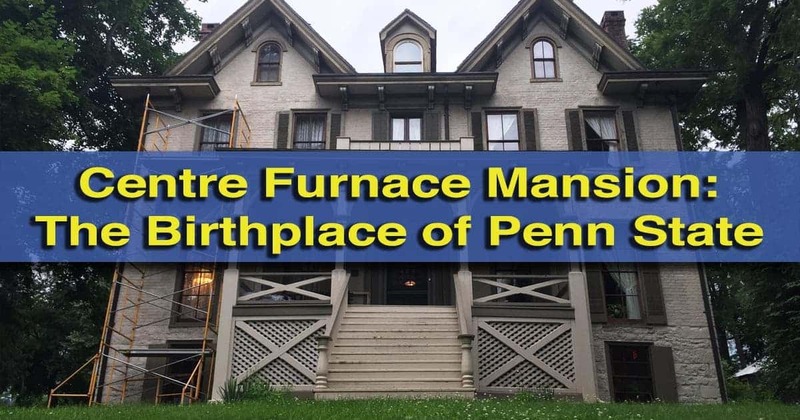 However, there is one aspect of its history that is sure to excite any Penn State fan: the Centre Furnace Mansion is considered the birthplace of Pennsylvania State University. Centre Furnace Mansion was built in the 1820s, though portions of the basement date back to 1791. The area that is now the basement of the mansion was a kitchen that served food to the workers of the nearby Centre Furnace, which is still standing 100 yards from the home. The basement of the home once fed workers, but now is a museum. The owners of both the mansion and the furnace from 1826-1858 were James Irvin and Moses Thompson. These two men were influential in helping the region to draw in a planed farm school for students from all over the state. To ensure that it was placed nearby, the men donated 200 acres of land to the school, signing the agreement to form the Farmers’ High School of Pennsylvania, which would later become Penn State, most likely in the east parlor of the Centre Furnace Mansion. The Founder’s Room on the first floor of the Centre Furnace Mansion. Known as the Founder’s Room, this room is decorated to appear as it did in the mid-1800s. In fact, the entire first floor of the home is an homage to what life was like for an upper-class family in 19th-century State College. 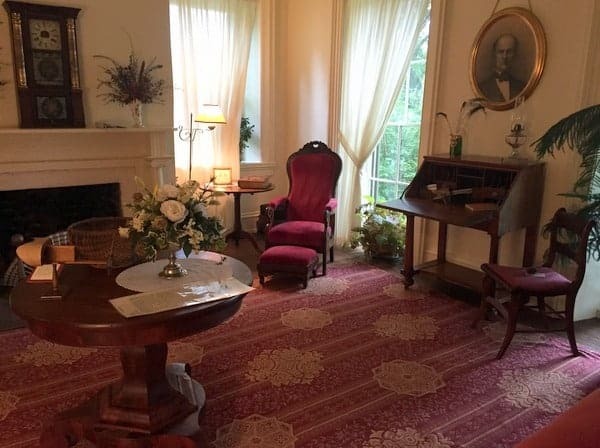 Visitors can see the home’s entryway, dining room, kitchen, and two additional parlors filled with authentic furniture from the time. While visiting these rooms, guides offer a bit of information about what was like on the frontier 150 years ago. The second floor of the home also contains period furniture, but also has items that tell the history of Centre County, PA. One room, which may have been a child’s room when Moses Thompson lived in the home, has been decorated as a child would have had it, complete with both Thompson family heirlooms and vintage pieces donated from around the county. On the wall of the second floor’s hallway is an intricate piece of hair art, a piece of art made entirely of human hair. If you’ve never seen this type of 19th-century art before, it’s well worth stopping to look at. 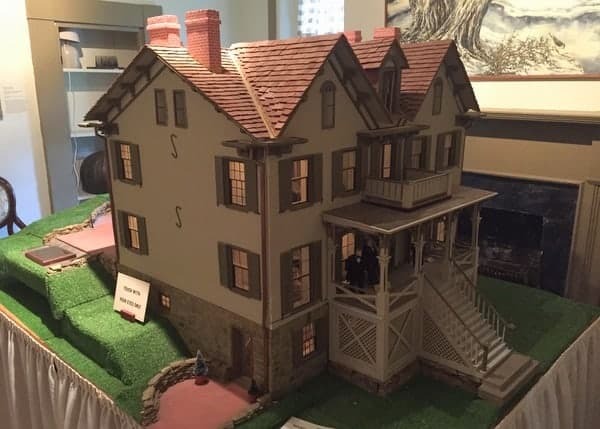 Also on the second floor of the museum is a large dollhouse that is a perfect miniature of the Centre Furnace Mansion. The artist that created this model did an amazing job replicating the home down to the smallest details. It’s really quite an amazing piece of art that you won’t want to miss. A perfect miniature model of the Centre Furnace Mansion. It’s worth noting, for those interested in genealogical research, that the Centre County Historical Society’s has only a small historical library located on the second floor of the Centre Furnace Mansion. 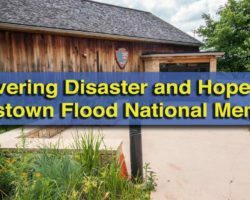 There is a larger collection of materials in Bellefonte at the Centre County Library and Historical Museum. Tours of the home start from the basement of the home, which dates back to the late 18th century. 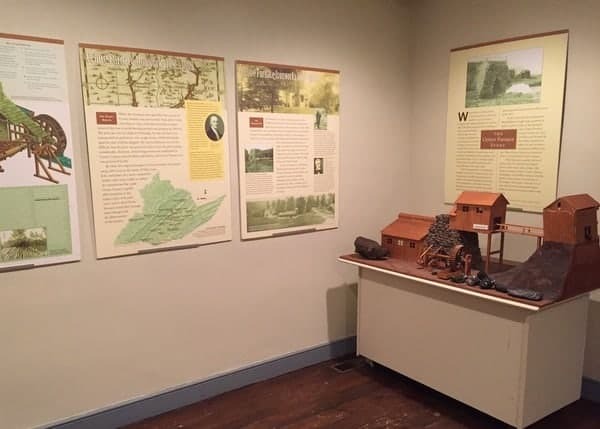 In this part of the home, there are exhibits about the history of Centre County, how iron is made, and what life was like for the men that worked at the nearby Centre Furnace. Artifacts and signage do a good job conveying the story of life in Centre County during this time period. The exterior of the Centre Furnace Mansion. The Centre Furnace Mansion might not be your typical historical society museum and has few displays that cover the wider history of the county unrelated to the home. 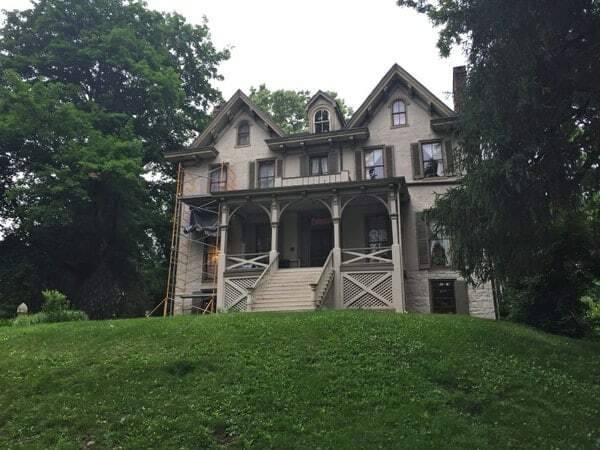 However, for those that are interested in Penn State’s history or the history of iron production in Centre County, a visit to the Centre Furnace Mansion in State College won’t disappoint. Note: My visit to the Centre Furnace Mansion was hosted by the museum. However, the opinions expressed are my own. 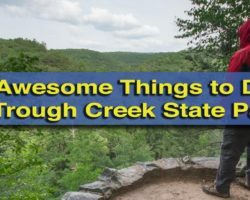 Looking for more place to visit near State College? 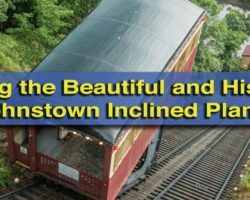 Check out Baker Mansion, Yost Run Falls, and the best things to do in Mifflin County. 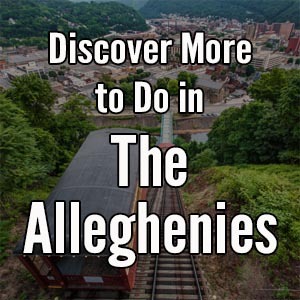 I am very interested in discovering Pennsylvania.